Intercultural Foundations Building intercultural competence equips the community with meaningful understanding and skills to bridge the gap between diversity and inclusion, creating a foundation of respect and equity for all. 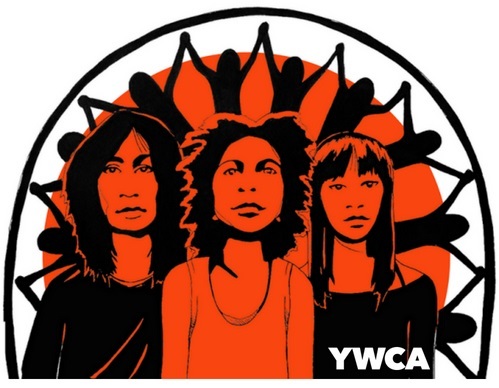 Stand Against Racism is a nationwide YWCA USA campaign of collective YWCAs across the country working to build community among those who work for racial justice and to raise awareness about the negative impact of institutional and structural racism in our communities. Why? Racism is built into our nation’s institutions, policies, and practices, but it doesn’t have to be. We each must play a part in the critical work to dismantle racist institutions, fight for racial justice, and create lasting change. This year, the theme is No Hate. No Fear. As the rights of immigrants remain under attack, YWCA Olympia stands in solidarity with communities of color and all immigrants who, regardless of their status, deserve to be safe, healthy, and treated with dignity and respect. YWCA Olympia’s 2019 Stand Against Racism will be held on April 27-28, 2019 and we will be on social media. Follow us! Racial Justice Summit: Why is there no Racial Justice Summit in 2019? YWCA will be moving away from a once-a-year conference-style Racial Justice Summit because current research shows that one-time trainings or interventions fail to engage individuals in ways that have a lasting impact. YWCA Olympia is committed to promoting racial justice in our community in ways that are responsive to community needs, accessible to a broad population, and spark sustainable change. We feel that we better can align with that commitment through a series of events, rather than a one-day conference. What is YWCA doing instead? We want to engage the community in an ongoing process of learning and action around how to dismantle racism and other forms of oppression. Through workshops, speakers, arts events, and more, we will explore individual and institutional practices that nurture true inclusion and uproot harm. We believe that our collective movement toward an anti-racist culture in Olympia requires that we lean into an ongoing, lifelong commitment with our whole hearts and minds. YWCA Olympia invites the community to share this commitment through regular opportunities that will increase our individual and collective awareness of race and racism and support our mutual growth. We are asking the community to join us in this process of shifting learning into practice by participating in YWCA’s Racial Justice Summit Series. What are the goals of the Racial Justice Summit Series? That the Summit Series events will broaden support for racial justice work in Thurston County, while building clarity and purpose for a community-wide shared vision of justice and inclusion. We hope to do this by increasing individual and collective awareness of white supremacy, and how interlocking systems of oppression can be addressed through racial justice work. Through this increased awareness, we will build solidarity across our community’s wide range of identities, concerns, and strategies for anti-oppression. The Summit Series will do this by providing opportunities for the community to engage in education and reflection, to be inspired by work taking place here in our own community and across the globe, and to learn new skills towards innovative practices that put our values of inclusivity and justice into practice. Summit Series: Look for the schedule soon! Anti Racist Institute: Stay tuned for the application process this summer. Collection of Stories: We are collecting incidents of racism and hate in our community to educate the community, help our partners understand where help is needed, and/or assist our advocacy efforts. Want to share your experience? Send a message to IF@ywcaofolympia.org for a link to our confidential (or anonymous) form of instances where you experienced racism or witnessed it. While the need for direct action is pressing in our community, we are unable to do so at this time. We are currently working to build our capacity to support direct action initiatives in our community.